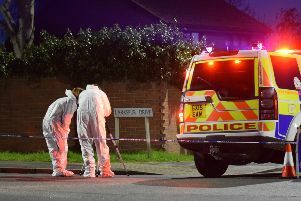 Sussex Police have responded to a major report that has highlighted areas of concern. One of the main issues was how some victims of domestic abuse were contacted by phone rather than in person. However, in a statement released this morning (Thursday March 2), Sussex Police say they recognise the concerns reaised and point out that the report also praises the force for various initiatives. The statement says: “Her Majesty’s Inspectorate of Constabulary’s latest report on Sussex Police highlights a number of areas where we need to make improvements as well as much praise for our good police work. “HMIC’s PEEL Effectiveness report follows an inspection of the Force during the height of change to the service and has graded the force as ‘requiring improvement’. Deputy Chief Constable Bernie O’Reilly said: “We always value HMIC’s independent scrutiny and have already taken significant steps to address the areas they have identified for improvement. Police point out that over the last seven years the Force has made £76m of budget savings and efficiencies to balance its budget, and to help ensure the services provided represent good value for money for the community. DCC O’Reilly said: “In creating our new policing model we are undertaking work to understand all the different demands on our teams. “The inspection took place midway through significant changes and we recognise in anticipation of the changes that we were running below strength. We now have a full complement of PCSOs and have developed a model that meets local needs with all officers involved in policing neighbourhoods across Sussex. “We also recognise HMIC’s concern about the service to some victims of domestic abuse and have examined if victim confidence in reporting is a specific problem and if officers feel enabled to take robust lawful action to arrest whenever necessary. “We accept that our previous practice of completing a small proportion of initial risk assessments with people reporting domestic abuse over the phone, done in the interests of understanding the safeguarding needs of the victim as quickly as possible, may not be the best approach in some cases. Plans are already in place to reverse this to ensure an officer visits them. “Other moves to improve the overall Sussex Police response include putting victims’ first in terms of their safeguarding and all first responders will be undertaking further training to help keep people safe and seek justice. · and for being ‘good’ at tackling serious and organised crime. DCC O’Reilly said: “I am determined that Sussex remains a low-crime area - we work tirelessly to improve our service, especially for vulnerable people. We are constantly reviewing how we deliver services and will be taking in HMIC’s comments as each stage of new policing model is rolled out. I am confident it will meet the demands of current and future policing. “We are committed to making people aware of what we doing, and we are working closely with partners as we improve our service. “We continue to listen to the public to ensure that policing reflects local priorities. Our latest crime victim survey sees about 79% of the public satisfied in their overall experience with the police and more than 90% for the way they have been treated. The police statement says that investment through the police precept will give extra focus in areas where the most harm or vulnerability exists and help make people feel safer through even stronger prevention teams working in their neighbourhoods.